REPRESENTING TAXPAYERS AGAINST STATE AND LOCAL TAX AND FEDERAL GOVERNMENT AGENCIES. AFFECTED BY THE WAYFAIR RULING? Many states have adopted similar legislation that requires your company to collect and remit sales tax if you make sales over more than $100,000 or more than 200 separate transactions in a state. If you sell across states lines, you may be affected. Any tax law issue, at any stage. Our tax attorneys are prepared to defend you, whether it’s against state or federal taxing authorities. Errors come easily with ever-changing tax laws. We are here to research and resolve, staying up-to-date on the most recent legislation to provide our clients with outstanding service. Juggling multiple states’ tax laws that are constantly subject to change can be exhausting. But staying compliant is too important for you to drop the ball even once. Fulfillment By Amazon services make navigating sales tax trickier than many understand or expect. You could be facing an audit if you’re not paying attention. Staying compliant is a meticulous job. Especially when the laws aren’t always clear-cut. Administrative law is the area of law that regulates the actions of government agencies. States generate significant revenue from excise tax. You may be entitled to a refund. 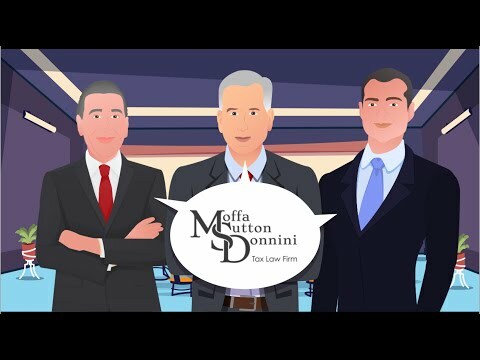 FIVE REASONS TO CHOOSE MOFFA, SUTTON, & DONNINI, P.A.